In the modern age where selfies rule, and iOS, Android Smarphones and tablets are affordable, ubiquitous photo-sharing on Facebook and other social networks have taken greater heights. Thank God for these devices, I was able to save data of my favorite food, places and family activities. Before, putting in memory the food I have tasted and loved, was a skill I have to enhance, but with giving birth and a major surgery, memory loss have been becoming more and more to blame to. Now, all I need to do is take a photo of a new dish I raved for, or even my recent recipe discovery, save it to my phone and what's even greater is I can share the experience to my friends and blog followers. However great an application is for sharing, there are still some setbacks. I do love Instagram or twitter, but what if I only want to see food photos? Plus, If I do see photos of such gloriously taken plates, most of the time it lacked information, and I have to ask the owner of the photo for such info. With that, I am proud to be one on the first few to explore a new smartphone or tablet application which was rolled out to the bloggers last night at the Mactan Hall of EDSA Shangri La Hotel. It's OpenSnap! Yup! You said it and I sweetly admit! I'm one food picture-taker addict. 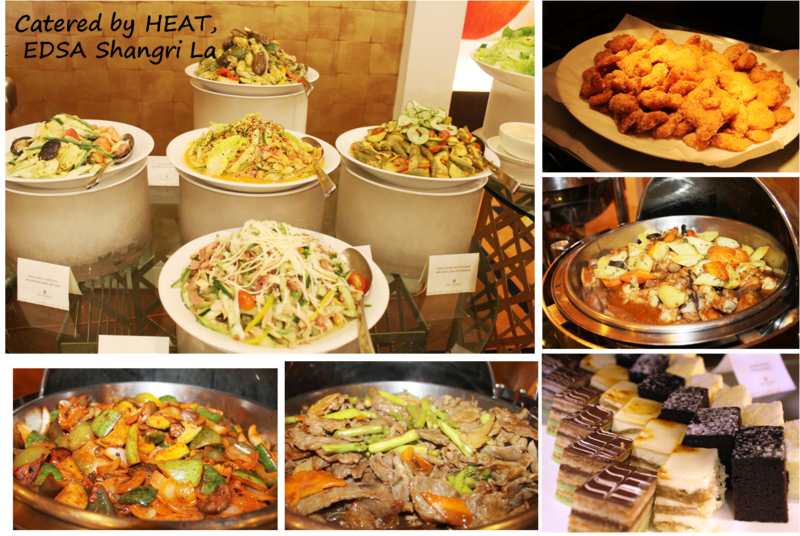 After savoring all these for our dinner, I instantly downloaded OpenSnap through a Google link. The link then led me to www.opensnap.com and I just clicked on the Free Download link. Now photo sharing is literally a snap! 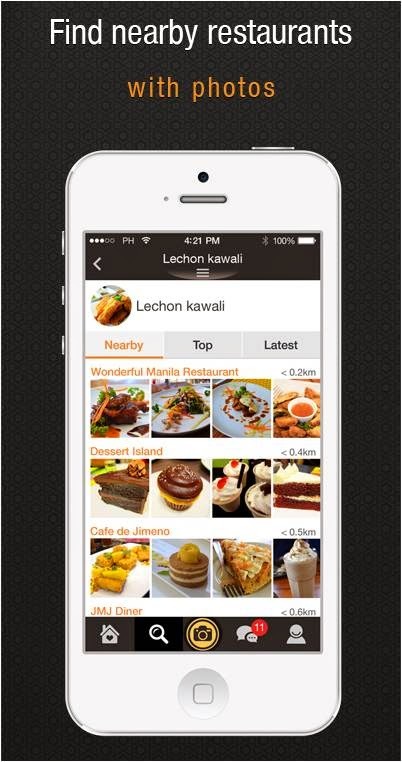 It's apparently made by OpenRice, Asia’s Premier Dining Guide and is the first and unique food photo app in the Philippines and Asia that allows users to create personalized food albums and share their dining experience with friends and families wherever and whenever. visitors search for gourmet information anytime, anywhere. OpenRice can also be found on popular social networks like Facebook, Twitter, Google+ and Instagram for the release of the latest gourmet information and privileges. 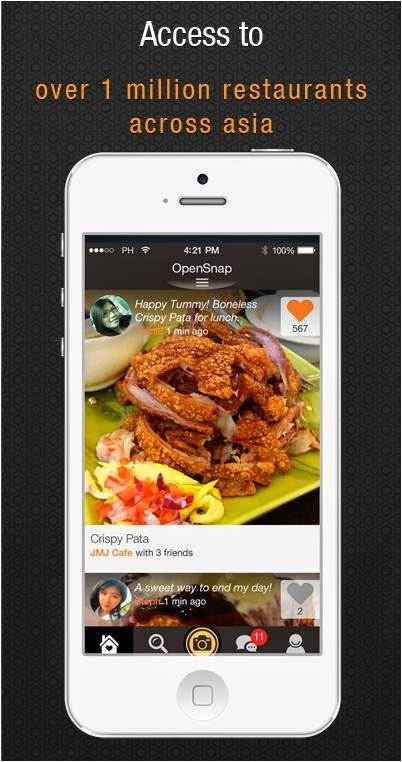 OpenSnap allows users to locate over 1 million restaurants in the Philippines and in Asia. 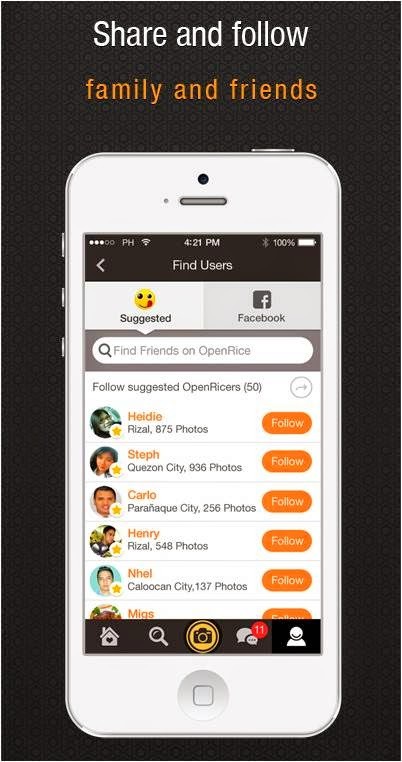 All thanks to connection to the OpenRice database, thus it's easy to identify OpenRice members, as well as Facebook friends and Celebrities who might be using OpenSnap. 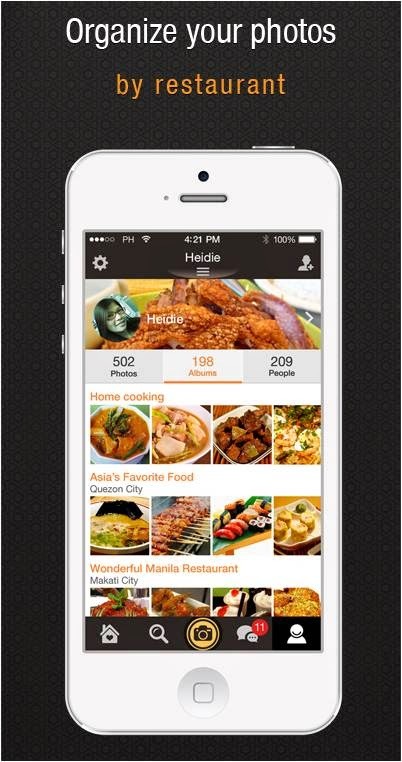 It allows Filipinos to enjoy local and worldwide cuisine on their fingertips with the support of advanced i-cloud technology. 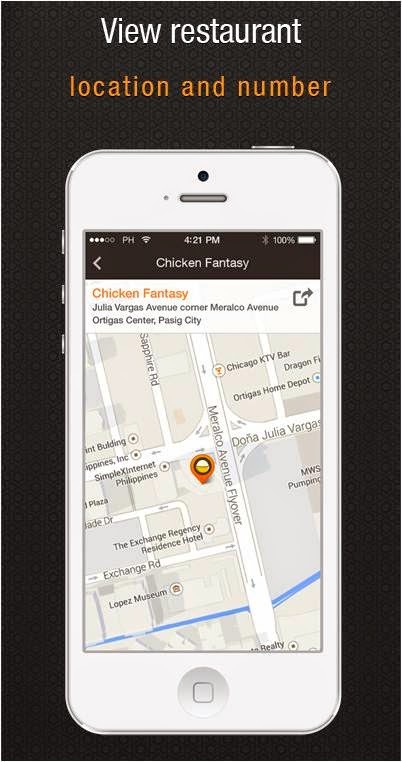 Users can search nearby restaurants by browsing photos uploaded by friends. It helps you to save the time to locate alternate dinning locations while lining up long queue at the designated restaurants. OpenSnap provides users with personalized restaurant albums and easily share their dining experience wherever and whenever! Users could check the restaurant details by clicking the food photos, with more supplementary information for a perfect dining experience. OpenSnap has an advanced search function to reach out dinning photos and restaurant information of other Asian regions such as China, Taiwan, Singapore, Malaysia, Thailand, Indonesia and HongKong. 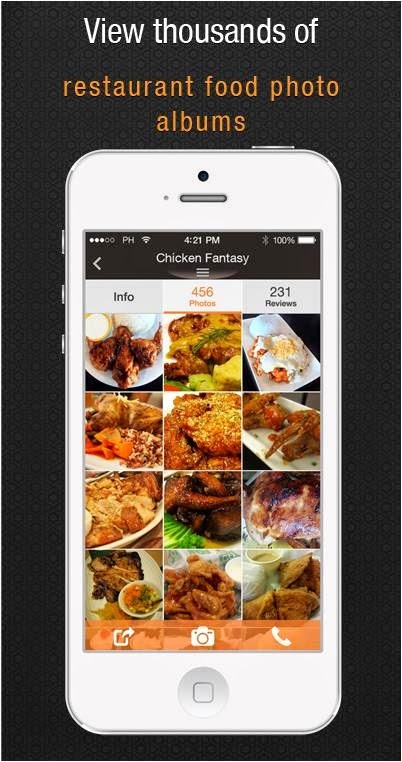 Each food photo provides the user with restaurant address, map, contact details, reviews and comments. So, are you ready for that foodie spotlight on your smartphone? Installing it is so easy. You can either register with Openrice.com (only an option) or directly download the application from iTunes or Google play. Once installed it will automatically create a shortcut icon on your phone and access is there! Now you are ready to either take a photo from your phone or use existing photos saved on your mobile data. You can also beautify your pictures, the app has that option where you can adjust hues or lighting to the subject with filters. Oh, also editing your photos can be more than just fun with stickers available. You can share your photo through Facebook, Twitter and Weibo. Once you had your photo, make sure to invite your friends and have them like your photos. it is equally spectacular for that medium. it helps new web users, who are wishing for blogging. 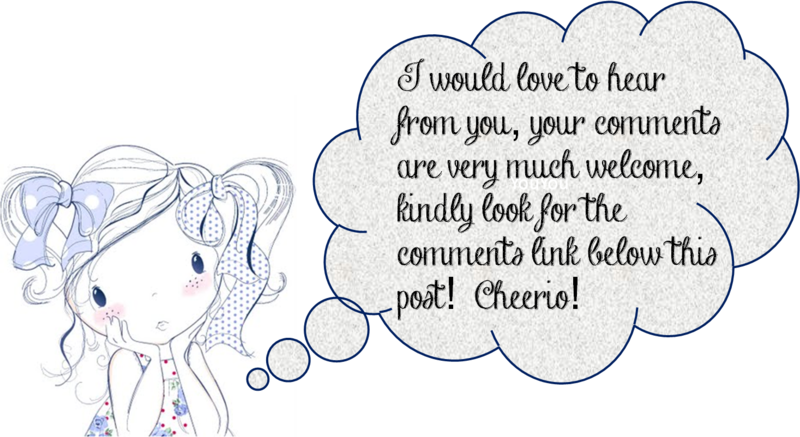 certainly you are going to a famous blogger in case you aren't already. site. Studying this information So i am satisfied to express that I've a very excellent uncanny feeling I discovered just what I needed. Its not my first time to visit this web page, i am visiting this web page dailly and get nice information from here all the time.